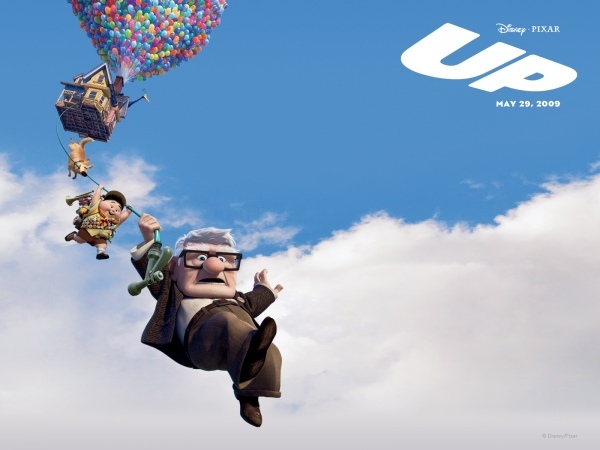 All The Live Long Day: Up! 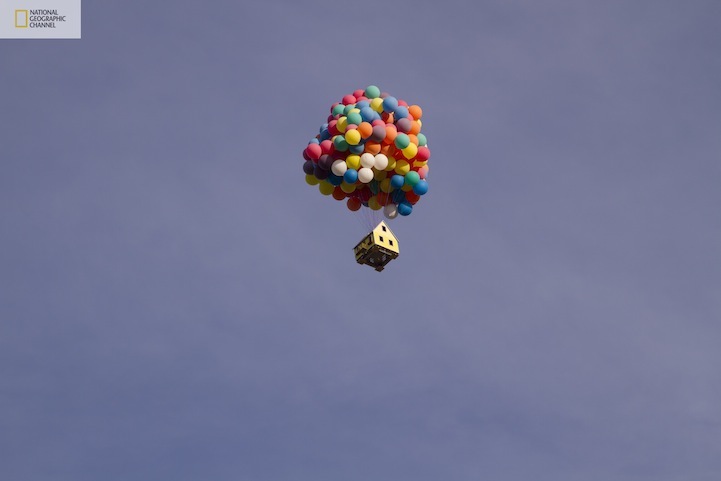 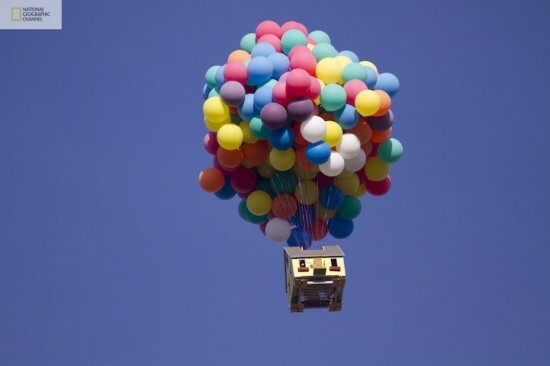 One early morning on a private airfiled near LA, the people from National Geographic assembeld a team of scientists, engineers and balloon pilots to recreate the floating house from the animated movie in real life. 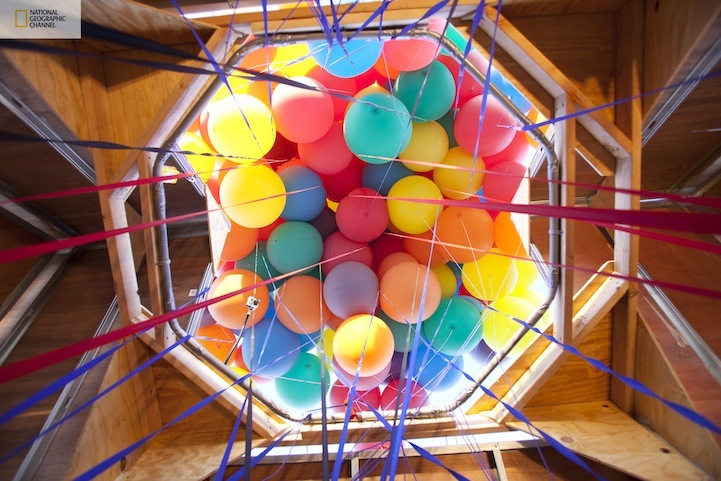 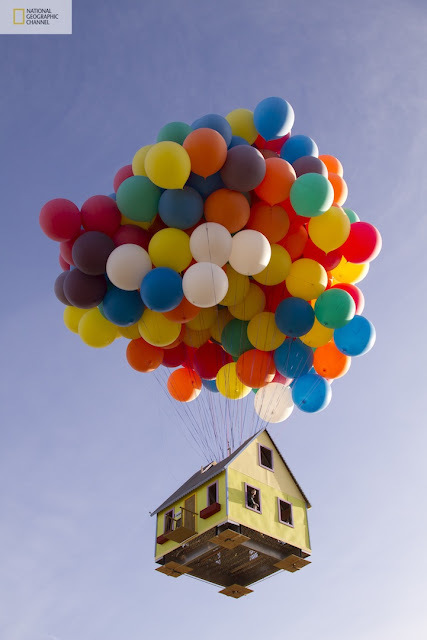 They used 300 colourful weather balloons to attach to the 4.9x4.9m house, which reached more than 3000m in height, staying up for about an hour. 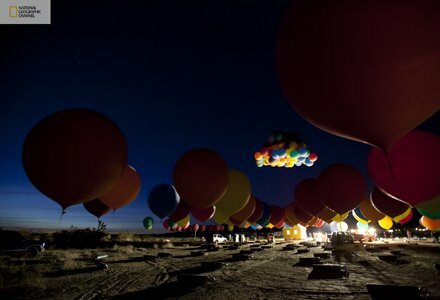 This set a new world record for the largest balloon cluster flight ever attempted. 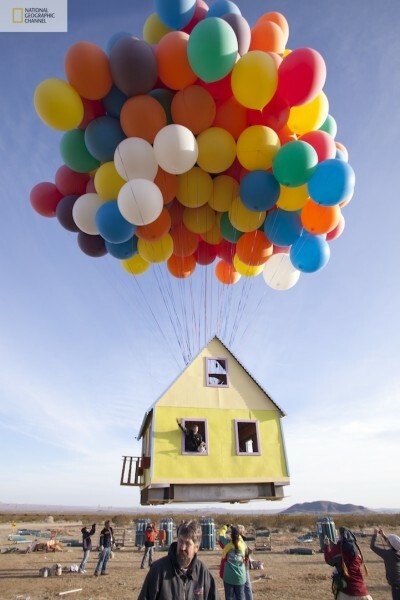 Aren't these photos just magical? 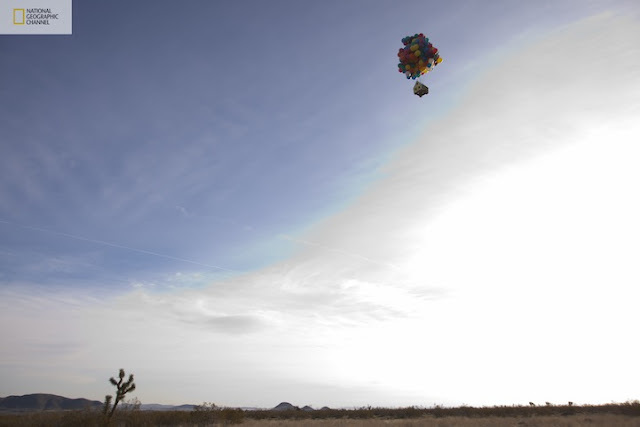 Just imagine yourself on an early morning walk. What would you have thought if you had suddenly looked up and seen a house hover in the air over your head! The event was filmed for National Geographic's new TV show “How Hard Can it Be?” which is due to premiere in the States this fall.